It was a noble try. And yet a necessary first step towards the inevitable but surely the question for today is who will be the seventh-fifth? The most interesting thing about Sunspring is the importance of acting to the drama. Given some nonsensical or barely-sensical text which has the form and structure of a dramatic script, the actors an effective love-triangle scene and a heartfelt monologue. It’s a fairly standard bit of acting training, of course, to take a text and act against its meaning, or to perform a scene entirely in nonsense syllables, but this kind of text is something new and it’s fascinating to see the performance create meaning from scraps of quasi-meaning. There has long been a trend in literary SF circles to criticise drama as if all that existed was the written text, ignoring the role of performance. This short film may not show screenwriters becoming obsolete any time soon, but it does effectively demonstrate the equation Drama = Text + Performance, in the limit where Text -> zero. I stand on the shoulders of four giants. Let us scroll, then, you and I.
I just finished Alaya Dawn Johnson’s “The Summer Prince”(James Nicoll’s review here) and I’m still processing my reactions a bit. It’s an excellent read first of all, with themes of generational, class and technological conflict. It can be read as the main character coming to terms with death, growing up, and casting off the role a corrupt government made for her. But to my mind, it can ALSO be read as a young women giving up everything she wanted, all for a man. And that’s why I have ambiguous feelings about it. Va gur raq, Whar unf cbjre, ohg unf ybfg nyzbfg rirelguvat fur jnagrq. Fur unf n cbyvgvpny cbfvgvba fur qvqa’g jnag, pbhegrfl bs gur znavchyngvbaf bs Raxv. Fur’f tvira hc ure neg, va snibe bs Raxv’f “cbyvgvpf nf cresbeznapr neg”. Jvyy fur rire unir nal nhgbabzl? Jryy fur rire qb ure bja neg ntnva? Be jvyy fur or or nyjnlf qnapvat gb gur ghar bs gur qvfrzobqvrq Raxv? Uryy, vf fur rire tbvat gb or noyr gb tevrir naq zbir ba, jura gur ibvpr vs ure qrnq ybire vf evtug gurer? Note that these questions are not ones where I am saying the book is bad or problematic. But they do make it seem even more of an ongoing tragedy than it appears. Enjoyed the interview with the Olders. I didn’t know they were siblings. You may not be passionate about that genre, but is that any reason not to try your hand at it? Also, super-excited about the Delany journals project. Now is the time for all good scrolls to come to the aid of their pixels. @Tasha I made that same point on Twitter to Malka and Daniel. She seemed surprised by my admission. (2) I would rather be in a room with orthodox vegans and evangelical Cross-Fitters (together, even) than these all-barefoot people. Ugh. (3) It’s all about the LlamaDome and the destroying monsters. (14) Because we all know how great books churned out in genres to make money by people who don’t like the genre is. MGC is consistantly more M than G.
@Rose Embolism: thanks for the warning — think I’ll skip it. Sim City. I remeber a TV-program where they took the leaders of the political youth organizations and let them play Sim City against each other. The liberal refused to put money on publiic spending and had his city burn down somewhere in the program. The socialdemocrat raised the taxes to the maximum of 18%, quite far from Swedens usual tax of about 30%, and had to get a bulletproof car to protect himself from all citizens that started to tale potshots at him. Hey–I recognize that contributing editor! Thanks, Mike. @Hampus: I used to play that game as a “republican”; build everything up until it was working decently, then, remove all city services and raises taxes through the roof. For some reason, the citizens revolted. Every single time…. I have a favorite “playing simulation games from a political stance” story. It was at a family holiday gathering and someone pulled out a “nuclear standoff” scenario game. (I think it was card-based, but it’s been quite some time.–I was a teenager, I think) The alleged goal was to develop your nuclear arsenal and political alliances such that you achieved (by some point-based system) more power and influence–or at least mutually assured destruction–relative to the other players. So I have an older cousin who is a very serious pacifist (Quaker, does weekly peace vigils on the streetcorner, that sort of thing) and only agreed to play if we let him play by his own principles: no acquisition of weapons at all, just diplomacy. I’m sure you can all see the punchline coming. He won. Mind you, it was only possible because the game developers–either intentionally or inadvertently–made that path possible. But I took away a serious lesson about never assuming the overt rules of the game are the only possible “win” scenerio, even when you stick to them. The Queen’s official 90th birthday Trooping The Colour included a flypast of one of every type currently flown by the RAF. The helicopters and Memorial Flight headed north, but the rest of the planes came out over West London. If anyone wants to read Alan Moore talking about Lovecraft and a bit about Providence his new Lovecraftian 12 issue comic book series you can over at The Beat. The 60,000 expectation for each volume of the Delany project past the first … I’m not sure how I feel about that as likely each will earn less than a thousand (or slightly more, depending on the purchase price). In a perfect world these kinds of things are labors of love, but in a capitalist market is there any justification, considering 60,000 per volume is almost exponentially more than it could ever bring in? The whole “five or more volume” series might bring in 5,000 dollars, being generous, and he seems to think that is worth, if I understand the idea, 240,000 dollars for the time to produce it? Unless we are talking about hundreds of thousands of almost illegible, hand written pages to cull for topical diamonds … I don’t see how editing existing journals could take two years. I am very interested in the state of the original journals. If he gets funded, the second volume will bring in at least $60,000. In a perfect world these kinds of things are labors of love, but in a capitalist market is there any justification, considering 60,000 per volume is almost exponentially more than it could ever bring in? Indiegogo is part of the capitalist market. If it brings in $60K by that means, it has brought in $60K. Aaron: Indiegogo is part of the capitalist market. If it brings in $60K by that means, it has brought in $60K. Maybe you could unpack that thought for us. It’s not instinctive to me to think of money raised by Indiegogo as capitalism. You continue to show you don’t know anything about what you talk about. Crowdfunding is a thing. If it raises money then that is real money to publish a book & pay people for their parts in doing so. The publisher knows if the cost of producing it is paid through the crowdfunding than readers buying copies is PROFIT from day one. By not providing the book as part of their crowdfunding campaign I question whether they will successfully fund. I’ve backed over 1,800 crowdfunded projects and getting part of what the campaign is raising funds for is usually, but not always, critical to a successful campaign. I’ve seen some campaigns overfund (raise more than goal) while not providing the product they are producing so you never know. Depends on what else they are offering and how much people want the project to succeed. Crowdfunding was another way you could have raised the funds to publish hardcover copies of your book rather than aligning yourself with a white supremacist who is against women having the right to education and voting. Bet you didn’t look into it based on your comment here. This is just one of many reasons some of us look askance at you when you say your book could never make money and you really had no other choices. It does cover salary for the author for 2 years which is no small thing as Jim Henley points out. At the $500 level you can get a copy of book 1 signed by Delany. It’s a very limited reward. It is part of the market, like almost anything else. An Indiegogo project is in competition for your dollars with everything else in the market. It doesn’t exist outside of the market for other things – what someone is selling on Indiegogo isn’t necessarily a tangible product (although it can be, with supporter “rewards”), but we recognize that people value intangibles just like they value tangibles. Not too long ago I attended a library conference in which the keynote speaker, an author who writes within a certain genre, noted that she wrote in a specific sub-genre because her publisher asked her to. A number of people were dismayed. I figured authors need to eat, too. Having said that, I’ve read one of those books she wrote in that sub-genre and didn’t think it was at all good, but I can’t speak as to whether it’s because it was forced or because I just don’t care for her writing. She was an entertaining speaker, though, so I forgave her a little for the wretched book of hers I read. On a totally unrelated note: Has anyone else read The Velocipede Races by Emily June Street? The series title is “Bikes In Space.” Unless this all takes place on another planet (which, if it does, I missed it), I really don’t get the “in space” part of it. I saw that the author had a story in an anthology of that name, so perhaps the connection is there, but I was curious to see if anyone out there had some wisdom to bestow in this regard. Aaron: The Delany journals are something that will be delivered to the market, but the funding isn’t capital in the usual sense of debt or shares where the person advancing the funds is entering into a risk/reward proposition. The Delany journals are something that will be delivered to the market, but the funding isn’t capital in the usual sense of debt or shares where the person advancing the funds is entering into a risk/reward proposition. Sure, because that’s not what an Indiegogo campaign is selling. It is selling the satisfaction of supporting a project someone thinks is worthwhile. That’s an intangible reward. You can’t simply separate something out of the capitalist economy because the gain isn’t tangible or measurable. It’s a nonsense question. If we were speaking of a government grant where people might be involuntarily contributing to a project they don’t support your question might have weight. In the realm of voluntary individual contributions though: the project is worth whatever a sufficient number of people are willing to pay for it. I’m not seeing a philosophical problem with that. @Mike Glyer: Crowdfunding is part of “the market” in that it can be one more compensation model for labor (this case) or one more means of raising capital for a project (a lot of the roleplaying-game kickstarters I fund) or both. It can also be a glorified preorder system, making it a way of purchasing desired goods (also the roleplaying-game kickstarters I fund). And, conservatives and libertarians take note, it is based in voluntary transactions. As a substitute preorder/subscription system, it has traditionally had more risk associated with it than traditional means of buying things and caveat emptor was the only recourse for failure to deliver, though that is changing now, for better or worse. It conveys at least as much information as other pricing mechanisms, and indeed, companies and creators often take a failure to hit their funding goal as a sign that a project isn’t worth doing. Heck, it can even do duty as a marketing campaign if you sandbag it: set an easy, reachable goal for a subset of what you really want to do, then keep rolling out enhancements to that core product as stretch goals. So it is thoroughly embedded in the market. marc aramini’s seeming distaste for it may stem from personally not wanting to risk failing to deliver on a funded campaign – there really is a loss of honor there – or perhaps from socialist/communist priors against the free exchange of goods, services and financial commitments. But that doesn’t make the “marginal revolution” perspective – that a project is “worth” whatever its crowdfunding campaign brings in – less valid under capitalism. I don’t hate you. I have no respect for you based on who you chose to publish with. I don’t know how delayed your project is. For a complex project like yours I’d probably have recommended a 3-5 year delivery date if you crowdfunded. Delivering early is a nice bonus if your not that late. I’m pretty sure you haven’t had a contract with Castilia House for 5 years based on prior statements. I can understand not wanting to go the crowdfunding route. It’s not right for everyone. As I thought was well known, Delany suffers from fairly severe dyslexia. I would expect his private journals to take quite a bit of deciphering. @tasha i have a million excuses for early 2014, but only one is good. (This isn’t it). I did not anticipate that the book would reach past its direct audience (the urth mailing list) and thus assumed virtual public invisibility, subserviating everything to my goal of getting the book out and having an editor go through the mess with me for nothing out of my pocket. My mistake was making excuses earlier, so I’ll stop and accept that politics and publishers matter in SF, and hope that in 50 years some people will like my book regardless of those choices, and resolve not to be personally affected one way or the other when Related Works is no awarded. I suppose now crowdfunding is part of the market; i see it as a great way for those seeking aid with unjust medical bills to stay afloat – i do have more ambivalent feelings about it for long and difficult projects. So generally if the goal isn’t met om a non-contracted work the project is cancelled and the partial funding refunded? In HS, my buddies and I were big RISK players. So much so we constructed a giant game board (200+ countries) that, even with six playing, required two sets of armies per player just to get started. With that size of a game – things frequently ran more than a full weekend of play. Eventually, one of our guys got sick of the whole thing, announced that he was implementing the “nuclear option” and up-ended the entire board. Everyone was so happy that the never-ending war was over, we kept that nuclear option as a permanent rule. Two things. First, I’m pretty sure going barefoot in the public areas of a hotel facility is illegal. If not, it will be very much against any hotel’s health and safety policy. Carpet, foot fungus, etc. Ew. Not to mention broken glass in the ball room carpets, fabulously unsafe for barefoot walking. Second, as to the Hobbit’s anti-shoe assertions, the humble shoe predates agriculture in the archaeological record. If you’ve seen the feet of people from countries where shoes are not commonly available, you will thank God they are available here. I would hazard a guess that the shoe was invented long before pants. Taking the protestations of that individual with a whole box of pickling salt. @marc aramina: I tried Equinox, which, from the descriptions of Hogg I’ve read, is either a kind of Hogg precursor or, who knows, maybe in the same continuity. Equinox was hard enough for me to take, and I happily read the bathroom-cruising memoirs in The Motion of Light in Water. Delany wrote four of my favorite novels – Nova, Einstein Intersection, Dhalgren and Trouble on Triton – and some essays that had a powerful influence on me. He’s up there with your boy Gene Wolfe in my pantheon. But starting in the 80s he took his fiction places I had no desire to follow. I can’t begrudge him that. (I can begrudge him the Wool Sweat interview.) But I’m not a masochist. @ Heather Rose Jones: The game still exists, if it’s the one I think, and it is simply called Nuclear War. I think we have a copy, but I haven’t actually played it since my first turn in College (Which would be before I met my husband by a significant number of years. Crowd funding a project like this doesn’t seem that dissimilar to academic research funded by a grant. 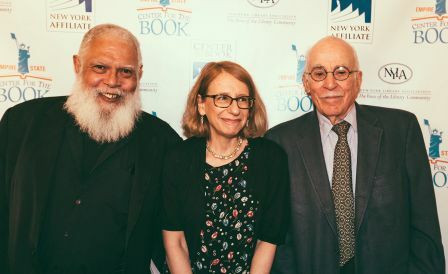 Such grants often pay the cost of doing the work—in the case of literary scholarship like this, that means paying the researcher something to live on. Except in this case, instead of applying to some foundation, govt. agency, or university, one is applying to the interested public. Doesn’t seem that illogical.